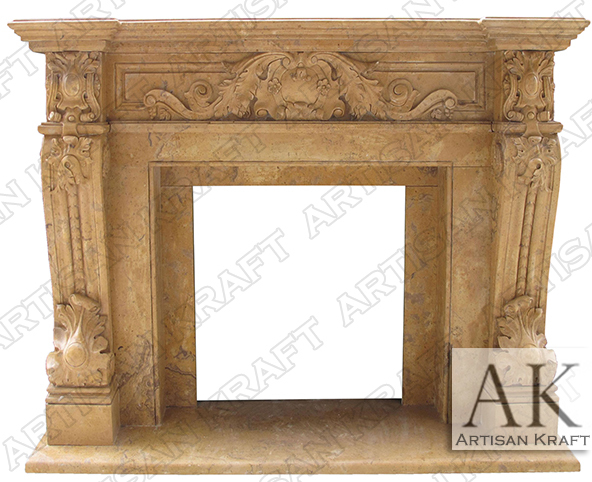 This regal French design is the Verona Antique Fireplace. Mantel pictured in Antique Beige Marble. Available for delivery in 1-3 weeks. French fireplace with intricate details and carvings. This is a great sale price for this surround that comes with inner slips and hearth. Large decorative piece that makes a statement. For more information on this French Style Mantel follow the link.